Join us for a special Tai Chi workshop & practice session! Great for beginners or for those with a regular practice. LIMIT: 15. $25 EarlyBird (by 9/4); $35 after. Use code EARLYBIRD when registering. For the first part of the workshop we will be practicing a Tai Chi form together, 13 Harmony Form. This will be a follow-along portion of the workshop, with few questions and little talking. You’ll run through the form, and find the flow of the movements. If new to the style, you’ll get a feel for the overall practice. We’ll flow through the form at least three times, with a short break in between each. You need not participate in each run-through (and may take a longer break as needed). The second part of the workshop will focus on the basics, mechanics, and individual movements, as well as some two-person work). 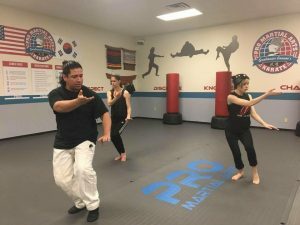 You’ll have the opportunity to correct errors, ask questions, and take a look at the overall philosophy of Tai Chi. We’ll close with a final run-through of the form, done at your pace and to your level—you’ll be amazed at the difference a little warmup and work can make!